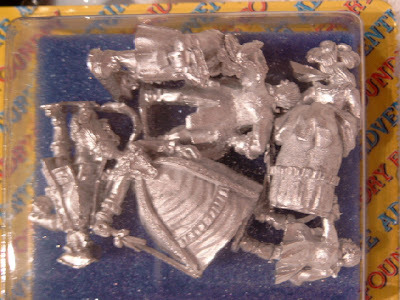 Well, I've done it again.........travelled to Salute (miniature show at Excel in London) and spent a fortune. Great day out , got off the tube at Tower Hill and suddenly found myself faced with the old Roman wall, looked to my right and there was the Tower of London. Wierd. There was a real shot of adrenalin and I felt proud to be English. 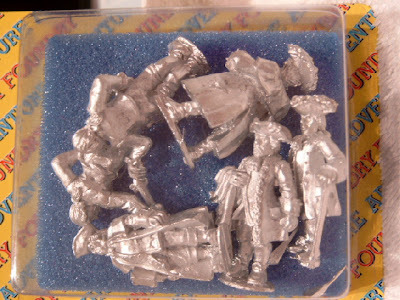 The pics below are some 18th Century civilians types I picked up from a company called Wargames Foundry. Perfect for Pirates of the Carribean type scenarios if you're into that sort of thing. If you're not.........move on to the next bit.